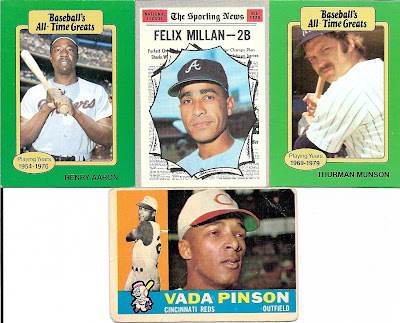 If you've followed my blog and read my posts enough, you know that while I enjoy getting vintage cards from sets I don't have, I've not really purchased vintage cards for the purpose of building sets. 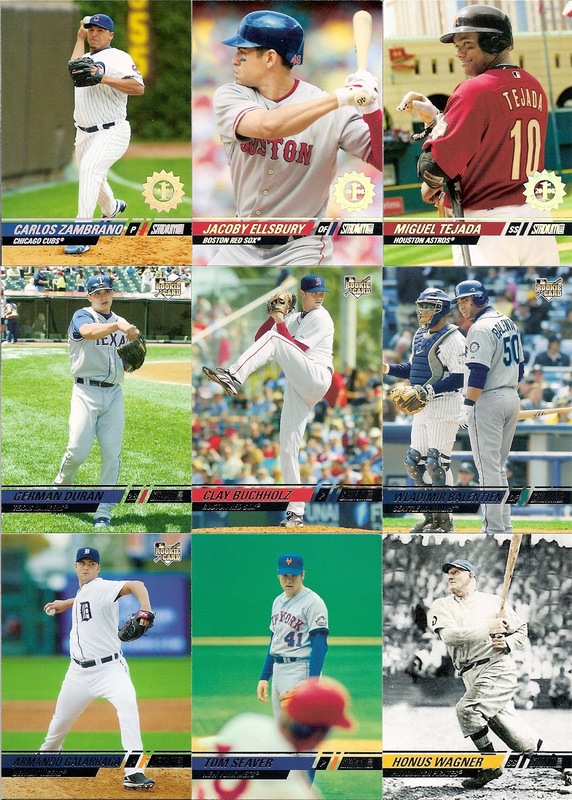 I plan on putting together old Topps issues eventually, but my TCIC sets have taken priority - there are 125 sets waiting to be completed. 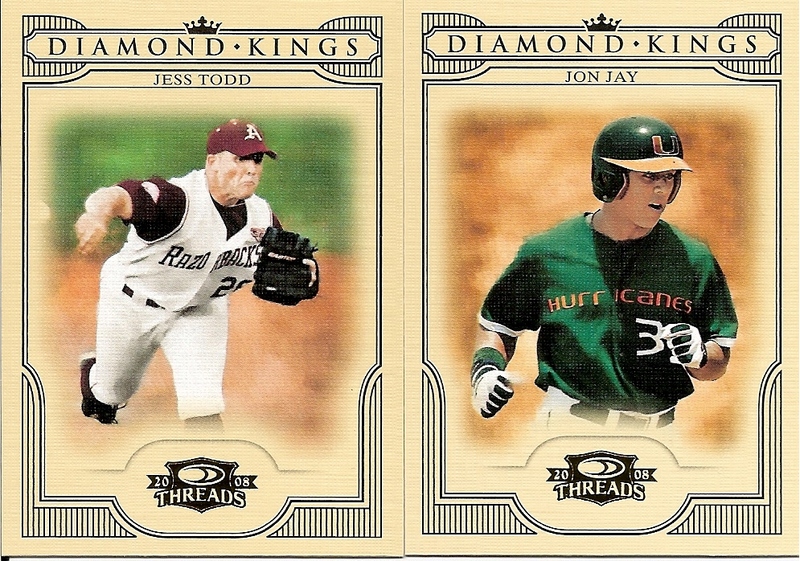 Not to mention the Diamond King sets, Baseball Heroes sets, and the player and awards/leaders collections. I still haven't finished my 1997 Upper Deck set! I need card 417, and can never find it. But I digress. The first table I saw when I walked into the show last weekend was covered with 5000-count boxes. The fronts of the boxes had labels on them indicating the cards were 25 cents each, right up my alley. So I started lookin through for inserts and oddballs I could use. At some point through the first box this kid behind the table told me they were 50 cents each, and I kind of ignored him and kept going. I noticed some standees on some of the other boxes identifying them as 50-cent boxes. Eventually dad came over and I asked him about the quarter boxes, and he said "yeah I just bought all these from someone else and haven't had a chance to change the labels." He said he'd honor the 25-cent price for me, so I kept going with the hunting, and probably spent nearly an hour there. It's nice (and good business practice) that the dealer honored the quarter price, but I don't see him getting many sales at 50 cents each for most of the cards in the box. I saw a lot of junk wax base singles in there that he'll be lucky to sell for a nickel. He did have a section where several vintage cards appeared. 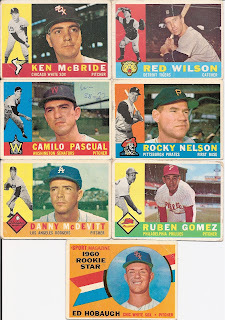 Most of these are in poor condition, most with rounded corners, many with creases, and several that show signs of being glued to construction paper. But I figured for a quarter I could grab them and figure it out later. I didn't even look at names while I was pulling out the vintage, so it was cool to come home and see I had a card of the great Don Sutton. Some years there was only a single card in the box, but I picked it up anyway. While I haven't decided what I'll do with most of these cards yet, Joe Gaines is already headed out in a trade. 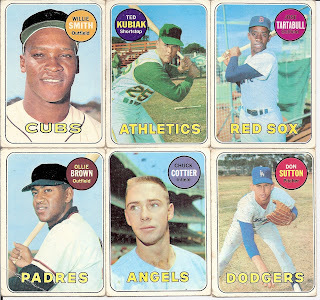 The 1960 Topps set is crazy colorful. Five of these cards were the ones with the construction paper backs. I really don't know what I want to do with these cards yet. If someone wants some well-loved vintage, I'll trade them for cards I need. Otherwise, I'll hold on to them until I finally start building vintage Topps. Going Postal: Beer tastes better on Draft. I'm not talking about draught beer. Did you know that equally-fresh identical beer from the tap, cans, and bottles all tastes the same if packaged and poured properly? The key is to always drink beer from a glass, never from the bottle or can. But this post isn't about beer. It's about a draft. A trade bait draft, that is! I participated in my first trade bait draft earlier this month over at The Great Sports Name Hall of Fame, and I made off pretty well. I made a list based on all the baseball hits in order of priority - cards I needed, cards I didn't - and then I sorted through his non-hit baseball bait for even more. If you're into stats, keep reading. If not, scroll down to the first scan. 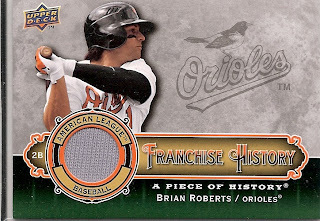 On my priority list, I included 50 hits, 17 of which fit directly into my collection, the rest being cards I figured I could either fit into the collection or trade with (all the other baseball hits). Beyond that, I found 20 other non-hits that fit into my crazy system of collections. Of those 17 "needed" hits, I picked up eight - including seven of my top eight choices. 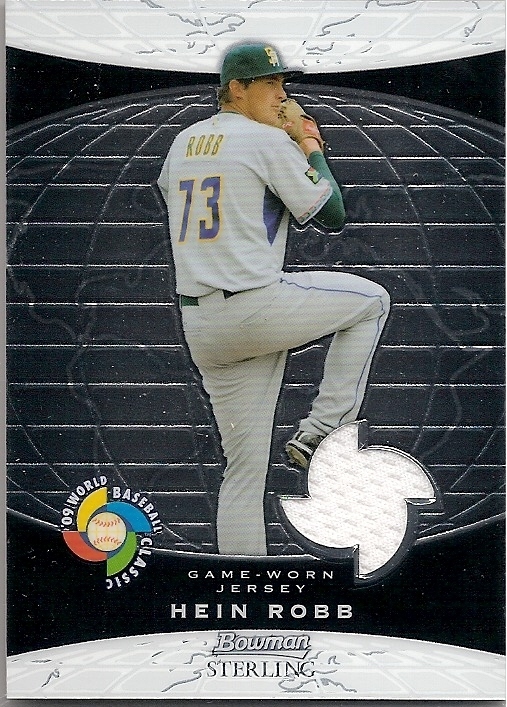 The only card in the top 8 I didn't get was the Blalock Jersey/Bat. Out of 20 non-hit baseball cards, I ended up with 15. I missed out on my number one pick, the 2009 Finest green refractor of Lance Berkman. I also lost my '08 Bowman Chrome refractor, '84 Fleer Update, '97 Donruss Power Alley, and '98 Donruss Preferred Great Xpectations. I also had the three 20th Anniversary Retrospective inserts, but I deliberately left those behind for The Dimwit. That means I had eight hits, and fifteen non-hits off my list. What were the other two cards? Just read and see. I know you want to see the hits, but I'm going to make you wait. Or you'll just scroll down to see what I picked up. 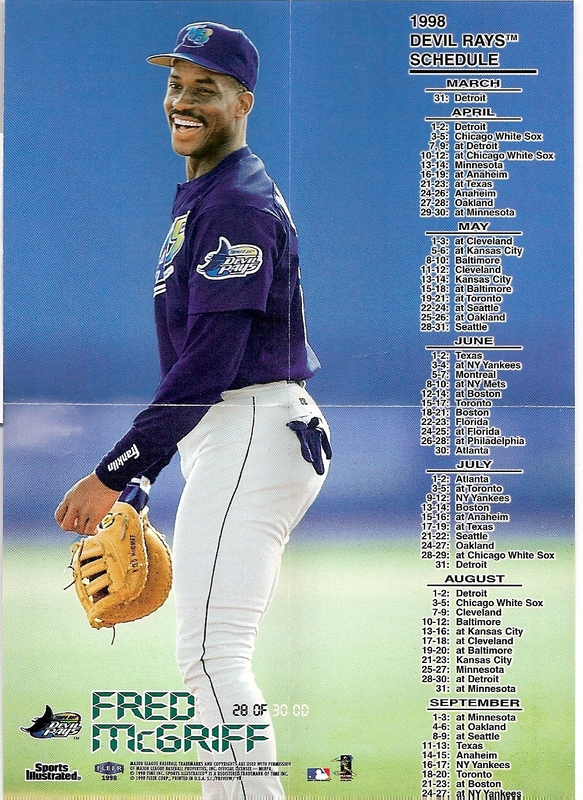 This is a four-card-sized poster "Preview" card for 1998 Sports Illustrated. Future home: Cardboard Zoo. How did I not have this already? Actualy, this is the wrong side. The intended showcase is the sticker itself. 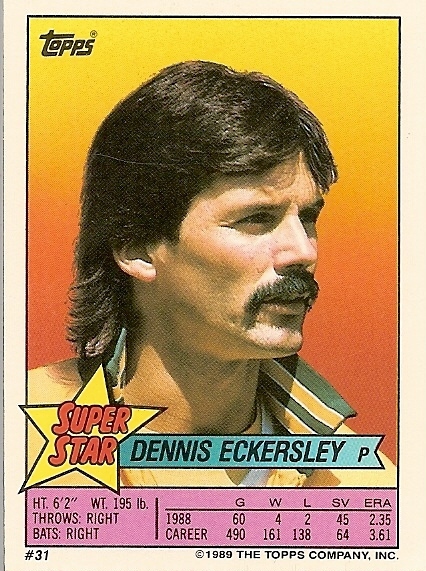 But hey, it's the Eck, with that awesome hair! Also headed to the Zoo. These three don't go to the Zoo. 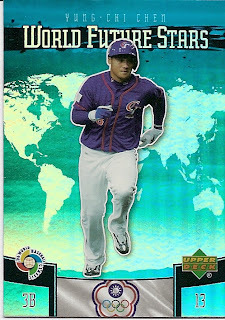 There's a WBC card and two awards/leaders cards! Pinella was my last pick. I should have picked up that sweet WWE sticker instead. More Zoo! McGriff is an Atlantic oddball issue, and then there are a couple minor league cards for good measure. Manny and the Crime Dog. Would that make for a buddy-detective/cop show title or what? I have the Comics set completed, but I didn't have a sample for the Zoo. And the same goes for the two McGriffs. It's easy to go specimen hunting for the zoo. 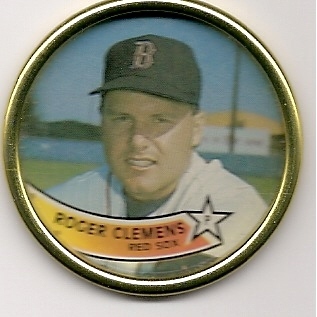 Especially when there are lots of oddballs like this 1989 Topps Coin of Clemens. Too bad my scanner only focuses directly on the glass. I've got a fever, and the only cure, is more oddball! 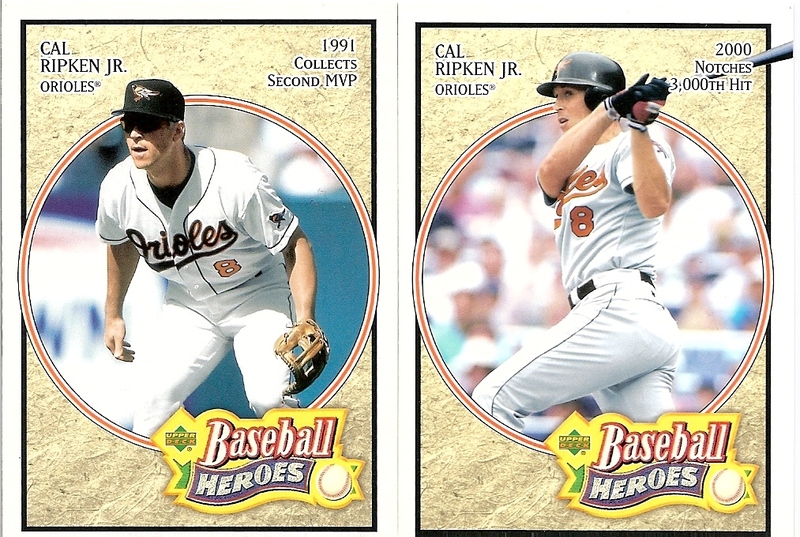 These three cards were the number two, three, and four cards on my must-have list of non-hits. I would have preferred the Griffey instead of Felix, but hey, this is awesome. I really need to get on the fan pack request bandwagon. Seriously. Last of the non-hits is this OPC team checklist. 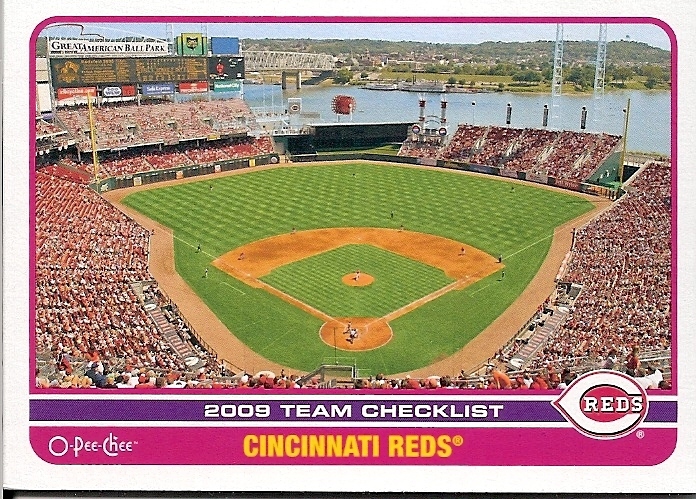 I like the 2009 O-Pee-Chee team checklists because they have nice stadium pictures. This is one of the stadiums I have yet to visit. Now let's get some hits! 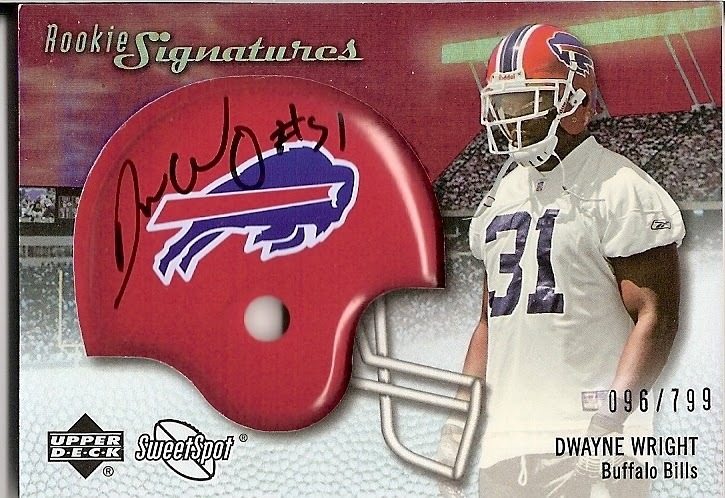 My last hit picked was this football autograph from Upper Deck Sweet Spot. I think it's pretty cool. 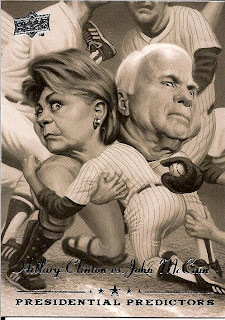 There is a baseball version of this set (2007 Sweet Spot Sweet Beginnings - base card #101-142). I would love to put that together, but there are several SPs and some expensive cards (Matsuzaka for $150, please?) so I doubt it will happen anytime soon. Some day, one day. 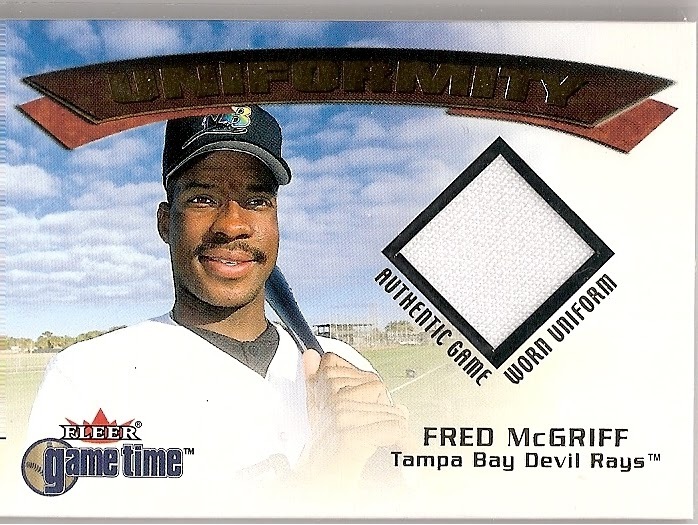 There were several Fred McGriff cards available in the draft, and many of them ended up in my hands, including this Game Time jersey. I also grabbed this McGriff bat from 2001 Topps Traded. Maybe you can tell between the two cards, but the Dening is a Refractor, while the Robb is just a regular Chrome Sterling. Nomo STRETCH! 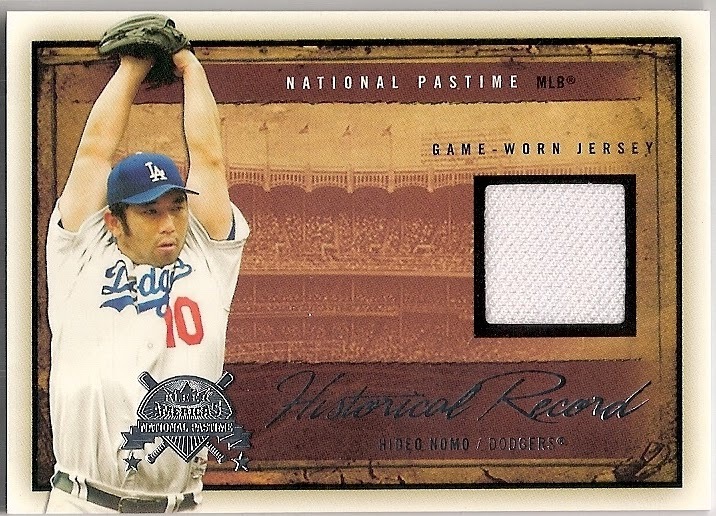 This is a nice card, even if there is a big chunk of empty space between his armpit and the jersey that covered it. 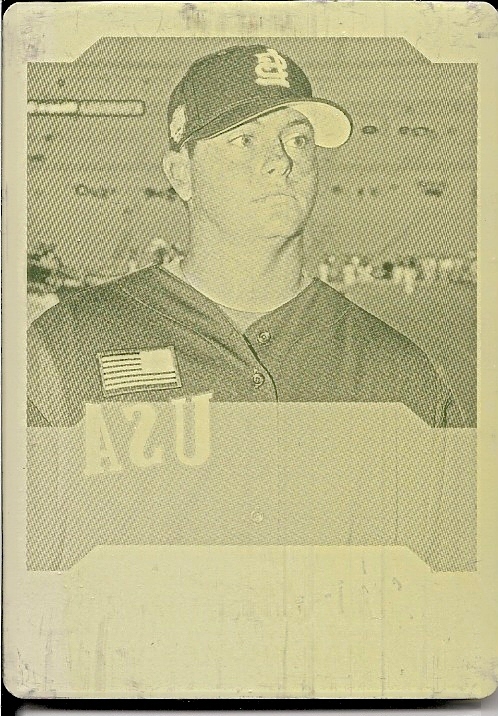 According to Wikipedia, Putnam was the USA Today High School Player of the Year in 2001. The page also claims he works for Facebook. 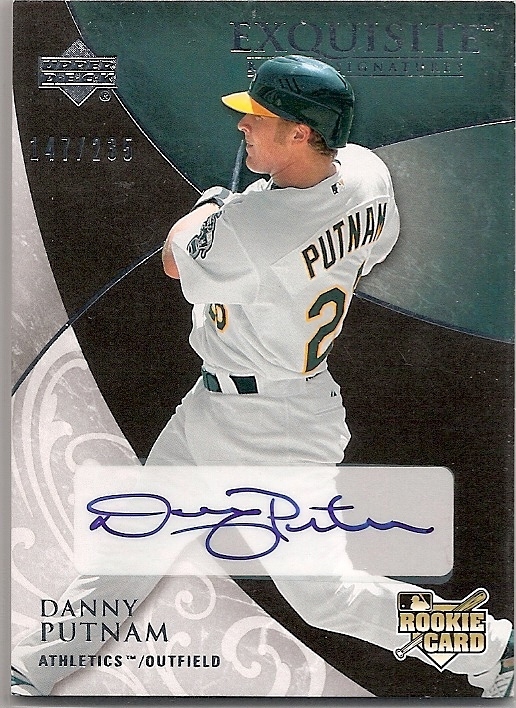 He saw action in 11 games in 2007, batting .214, ended up in the Padres organization, and disappeared. 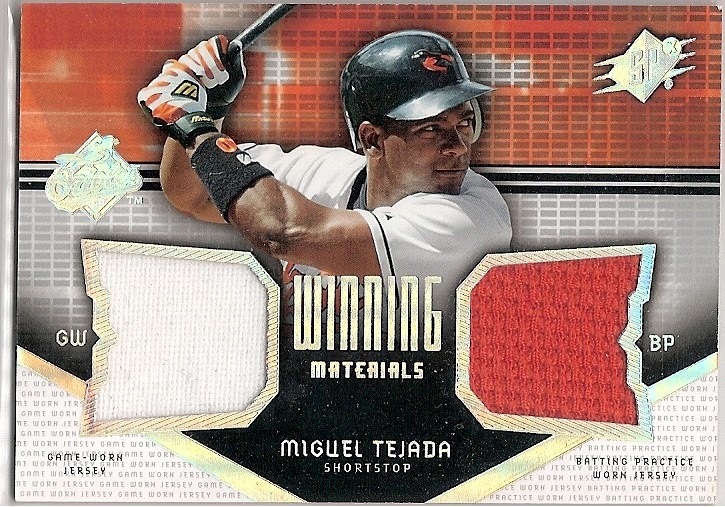 I talked Johnny out of this Tejada card because, come on, it's Tejada. I ended up drafting the card a couple rounds later when most of my other top choices were taken. 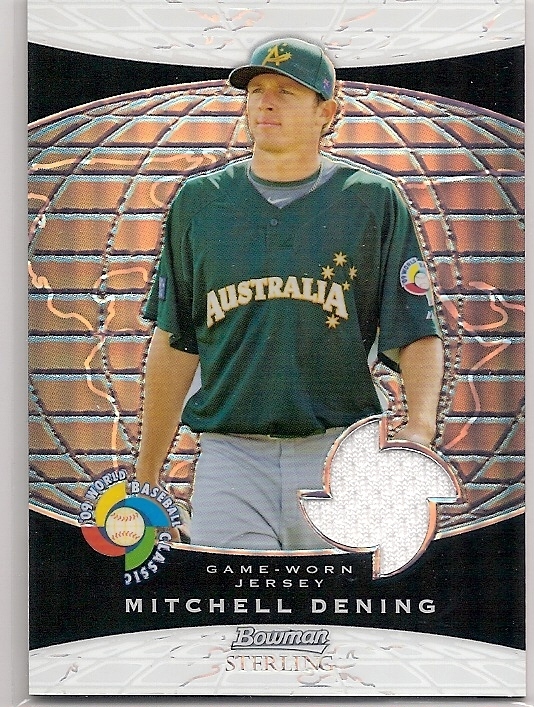 In fact, this card was ranked #15 of 17 hits I needed in the draft. 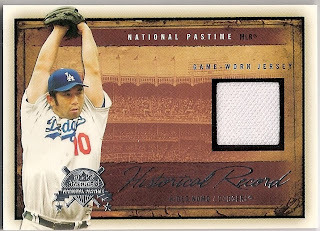 It's a nice dual jersey card, though. 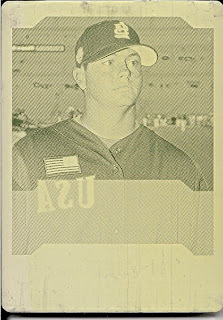 Last, and certainly not least, my number one pick in the draft was this Brad Thompson yellow printing plate from 2004 Bowman Draft Picks and Prospects. Unlike other plates I've shown on this blog, this one is backwards. I was very glad to pick this up, as plates are the most difficult cards to find for the Cardboard Zoo. Twenty-five cards, all awesome! 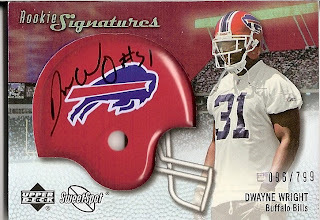 Every card except the football autograph has a home - but if you want to trade for the football autograph let me know. I'll trade for any of the baseball 2007 Sweet Beginnings helmet cards, no questions asked (other than condition, I suppose), or make me another offer. Thanks to the Mooss over at TGSNHOF for a great break! Hopefully I can join in on another! 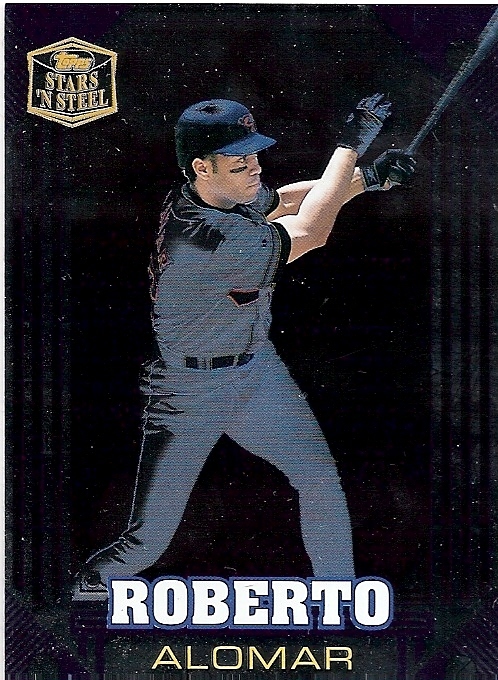 This is a 1998 Topps Stars 'N Steel card made from real steel. Topps wasn't the first - they stole the idea from the 1996 Leaf Steel set, and I'm sure there was a card made of steel before that. I know Topps made those Gallery of Champions mini cards in the '80s, but there has to be something before that. 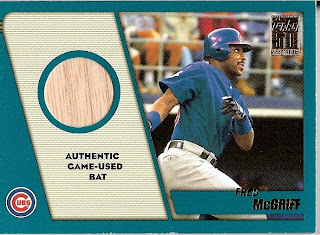 I've been building the '99 set, but this is the first '98 issue I've come across. 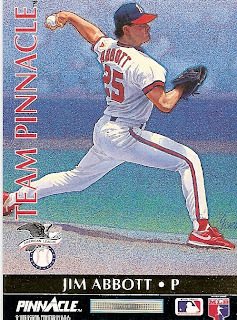 1992 Team Pinnacle, one of the hottest insert sets ever. 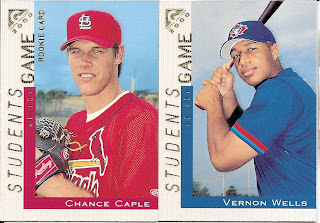 The best cards from this set fetched $50 or more when it was released. Cards are still hard to come by and book for up to $20 - I have three of the nine cards in the set. I will eventually feature this set on this blog. Ack! Another Alomar! I grabbed two Teks from the quarter box, but this pattern was the only one I needed. I shall finish my pattern variations set someday. 20th Anniversary Retrospectives are always welcome at a quarter a piece. So is this 2008 UD Presidential Predictors Running Mates insert I didn't have. I believe the only cards I need now from this set are the rare ones. 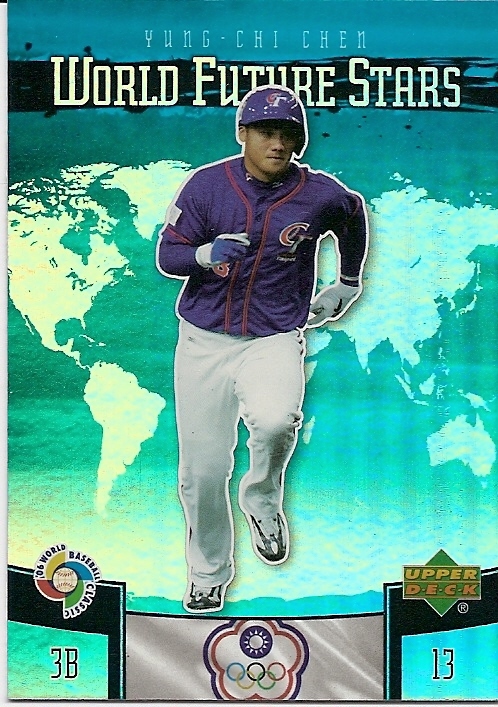 I expanded my Team USA collection to include the WBC releases, but I missed this set, so Chen starts off another insert set that will never be completed! Wow! 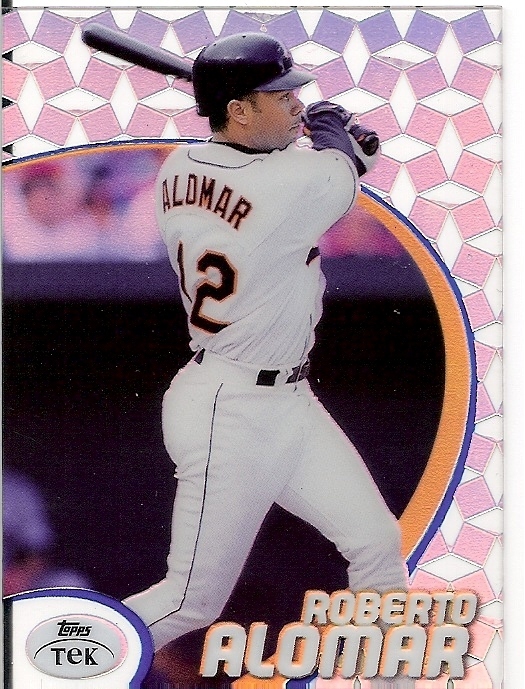 Alomar as a future Hall of Famer. If I didn't need this card for the set that seems impossible to complete, it would fit perfectly in the Hall of Fame collection. 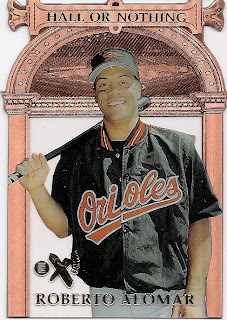 The rotunda that is "behind" Alomar is overlaid in front of Alomar on the card, making this card a freaky mind trip if you look at it any way but straight on. 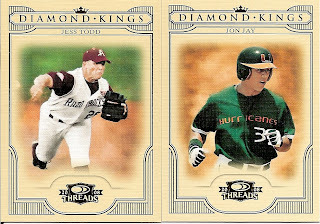 I don't know what inspired Donruss to bump the Diamond Kings set in 2008 Threads to 58 cards, but it's been slow going at putting this set together. 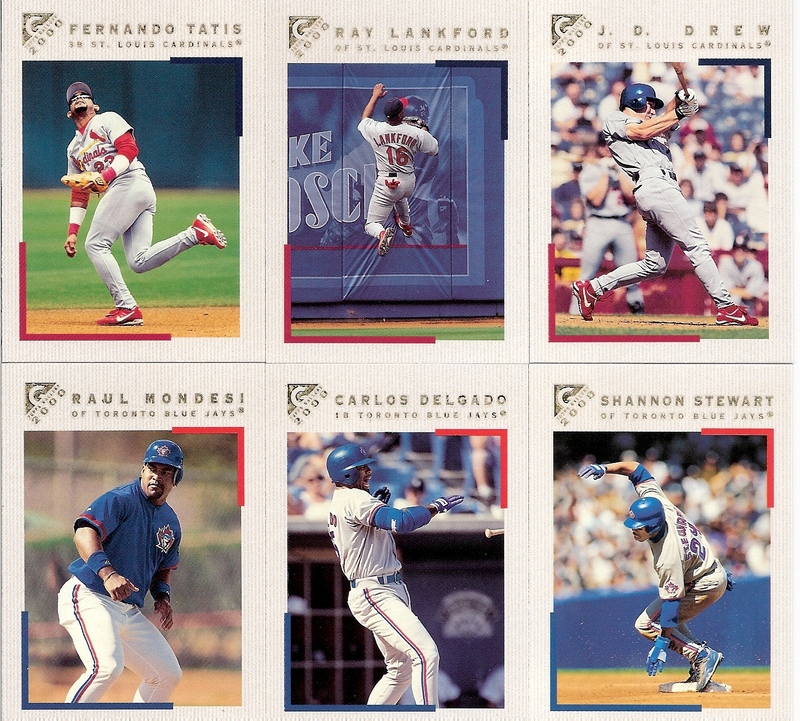 Speaking of difficult sets, these cards are from the much-more-difficult-than-2008 2005 Baseball Heroes set. My 2005 set sits at 20% completion. Tomorrow, I'll show off some vintage pickups. Everyone loves vintage! Except the communists! You aren't a communist, are you? Those manila envelopes, they just keep coming in! With all the card show loot this month, I've spent most of my writing efforts on showing off all those goodies I've come away with. It's certainly been a good month, with each show having plenty of great cards to choose from. 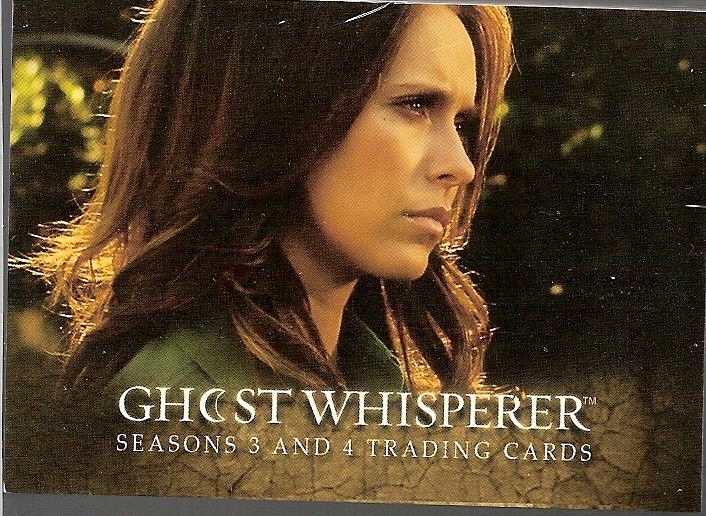 Compare that to some of the sparse off-season shows, which saw me walking away with only a handful of cards. Add to that recent breaks and trade deals, and my mailbox has felt like the inbox at Beckett's review service (without the loaded boxes, of course). I have received several packages in the past week or so (when was my last mailday post, anyway? ), so here we go! We'll start with my group break grabs from Nachos Grande. 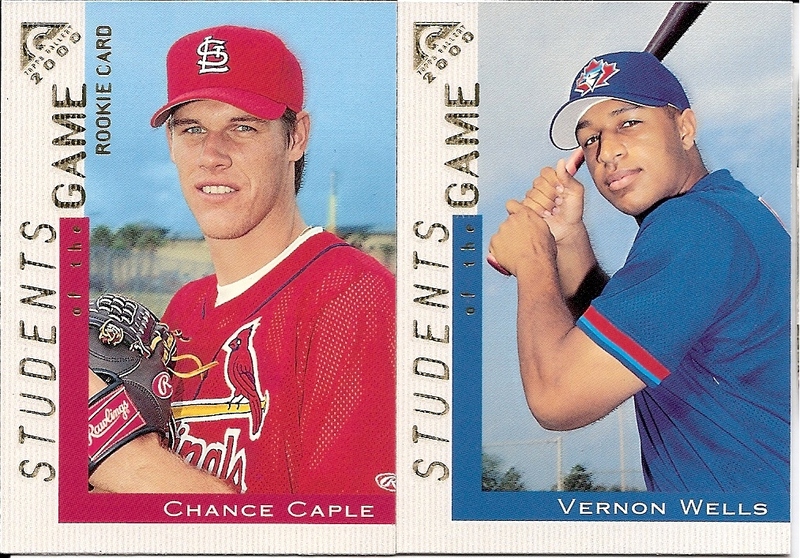 I went for the Cardinals and Blue Jays in this one. I pulled the cards I needed from the stack before I scanned them (oops!) so everything you see here is for trade. 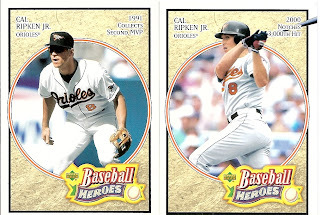 First, these 2000 Topps Gallery. This is a nice set, and you can see there are some interesting photos. Shannon Stewart looks to be falling on the base, Delgado is about to give a free bat to someone in the dugout at high speed, and Lankford is playing Parkour at what looks to be Dodger Stadium. Until Gallery went with an art set, though, it never stood out as something I'd like to collect. Topps Reserve? 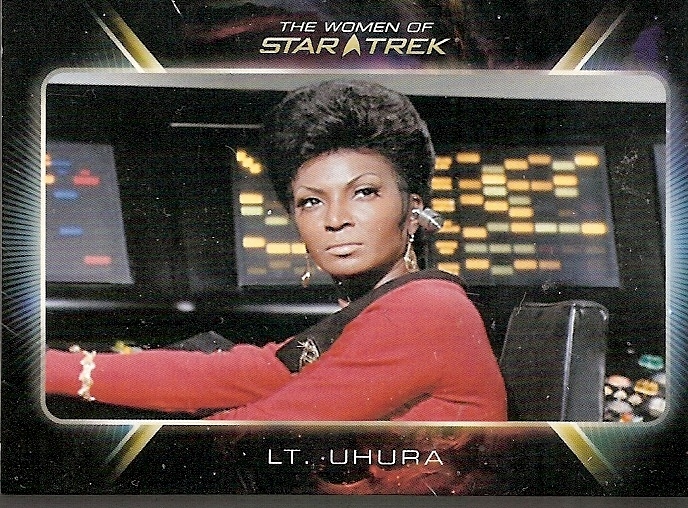 I think this was the only card from the set I didn't need. I need a couple Jose Cruz cards, but not Junior here. 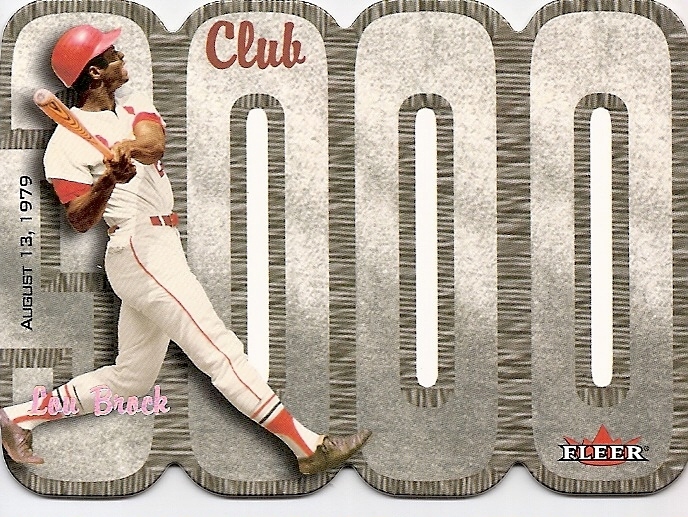 My lone insert in the break was this nice Lou Brock Club 3000. 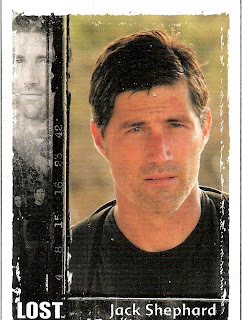 There is a memorabilia version that goes along with this, featuring varied memorabilia items for each player in the set. 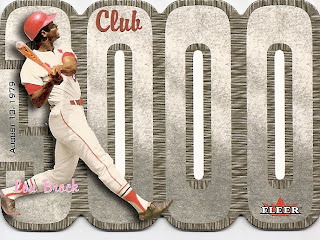 The complete set does not include all 3000-hit and 3000-strikeout members, apparently just the ones that Fleer could use in a memorabilia set. 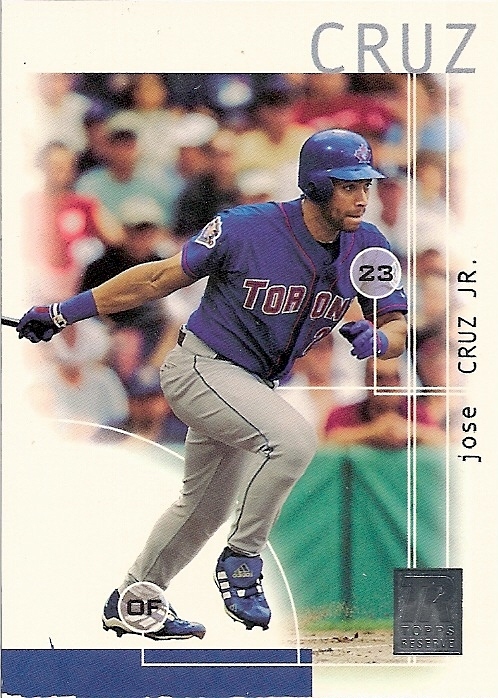 Topps 205, 2003 style. None of these are SPs, I wasn't that lucky. 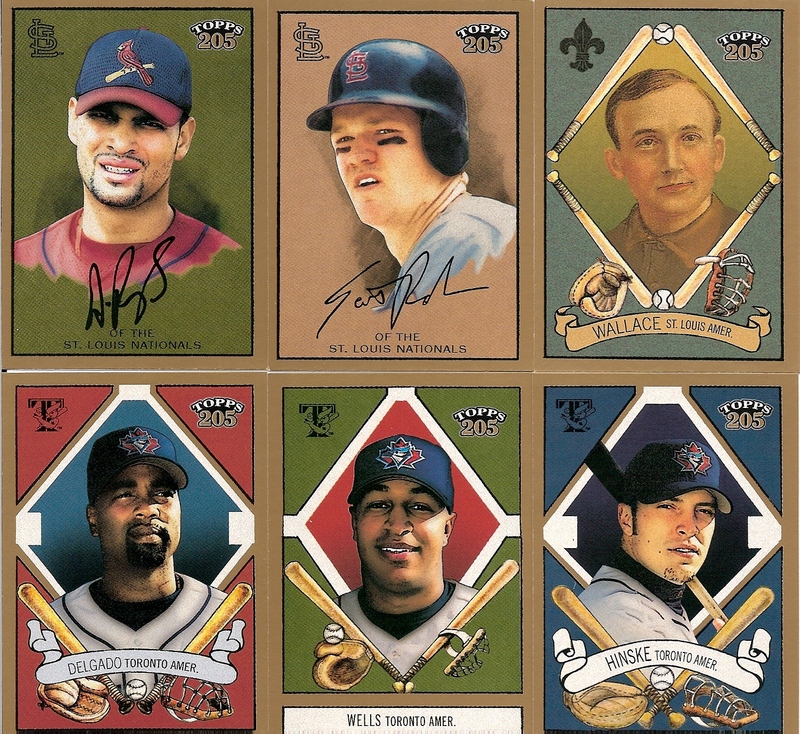 I need 20 SPs to finish my Topps 205 set. 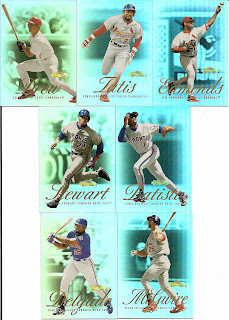 I may tackle this set in the next month or so via Sportlots and COMC. 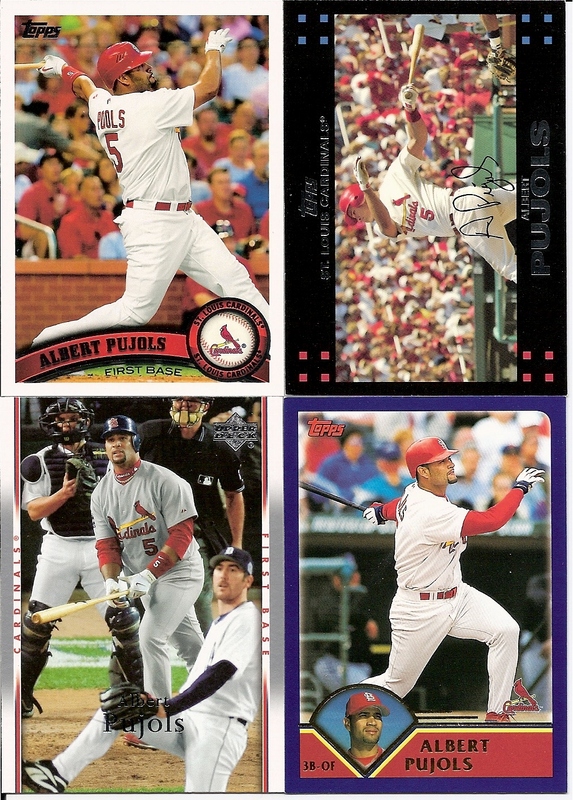 I ended up with two Pujols cards, though. Shiny! 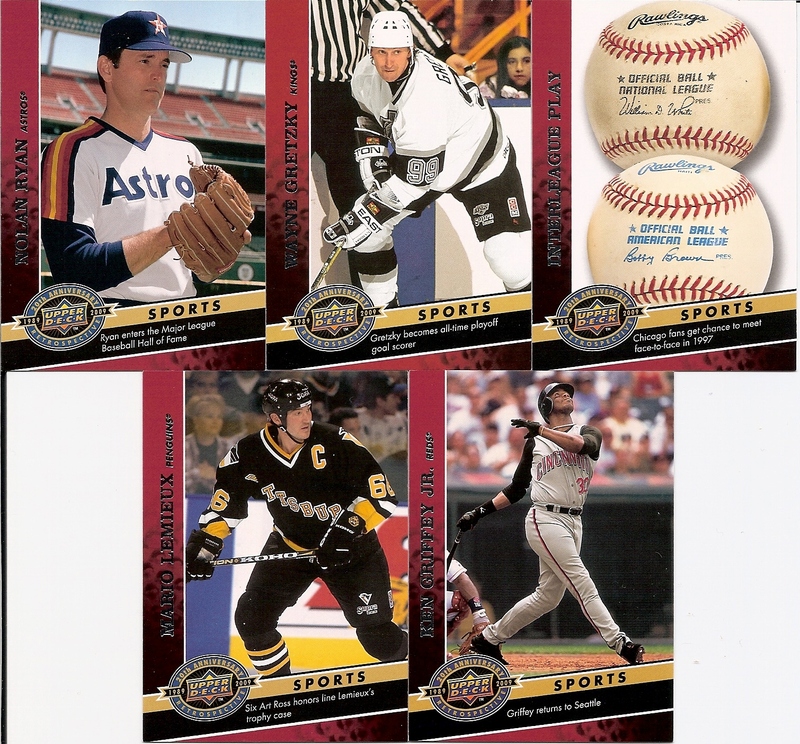 Fleer Showcase 2000 is the set that brought me that Brock insert above. 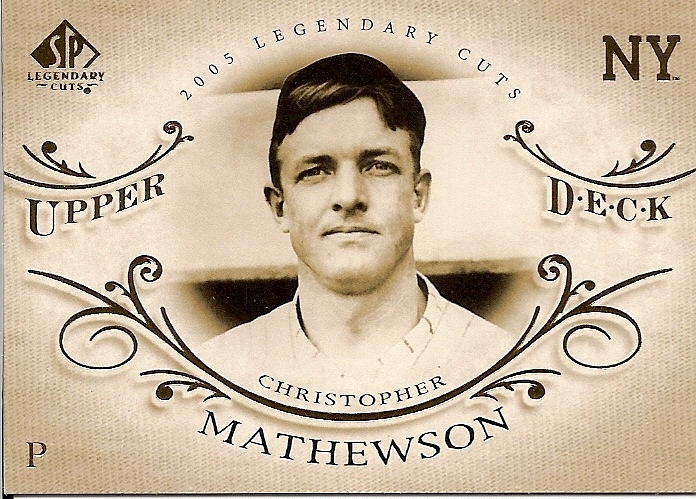 This is a nice set that Topps Tribute seems to emulate these days. 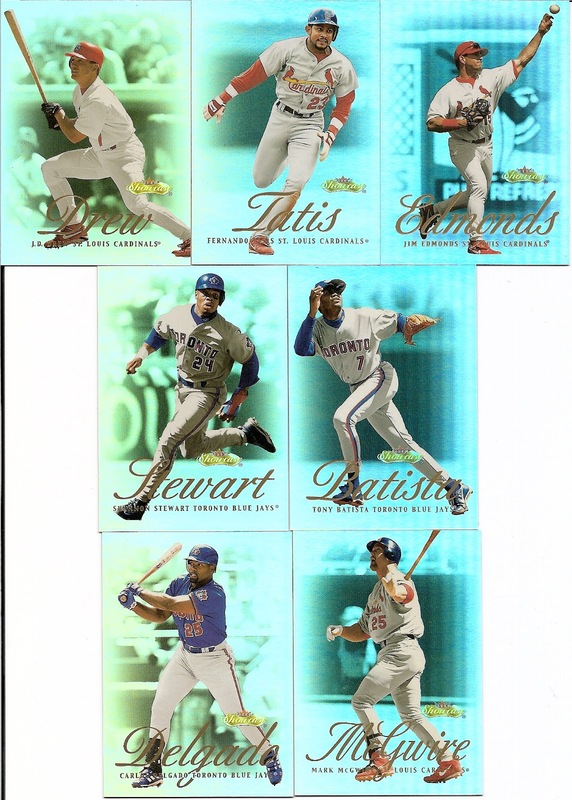 A bit more 2009 Upper Deck to get me a little closer to completing that set. 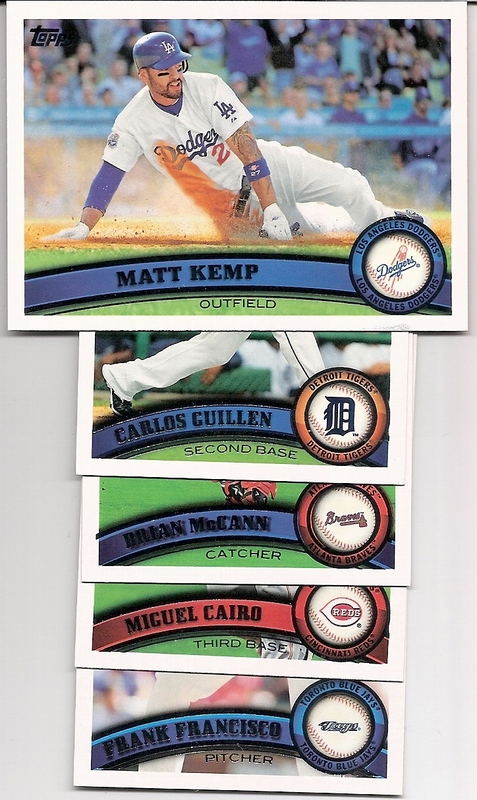 Some 2011 Topps singles I need from series 2! I've been seeing a lot of Matt Kemp lately. It might be because of Greg Z's infatuation with Kemp that I just notice his cards more often, or maybe it's because I'm in anti-Dodger territory so his stuff ends up in the quarter boxes more often. 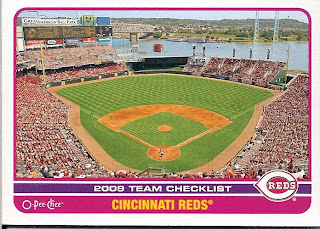 Next: more set building, this time 2008 Stadium Club. 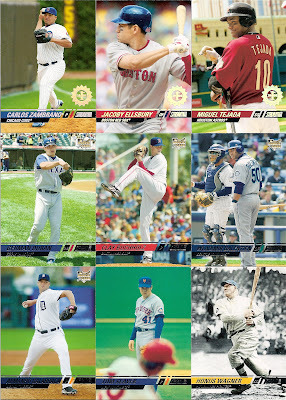 I sent off a bunch of diamond parallels to Chris (Nachos Grande, again!) in exchange for the following singles. For Stadium Club, these particular photos aren't that exciting. You'll notice some First Day Issue parallels scattered in - I'm doing a bit of a FrankenSet since it's so difficult to find the short printed divisibly-by-three cards. Horizontalness makes most cards look better. If Damon wasn't horizontal, it would just be another Johnny Damon batting card. 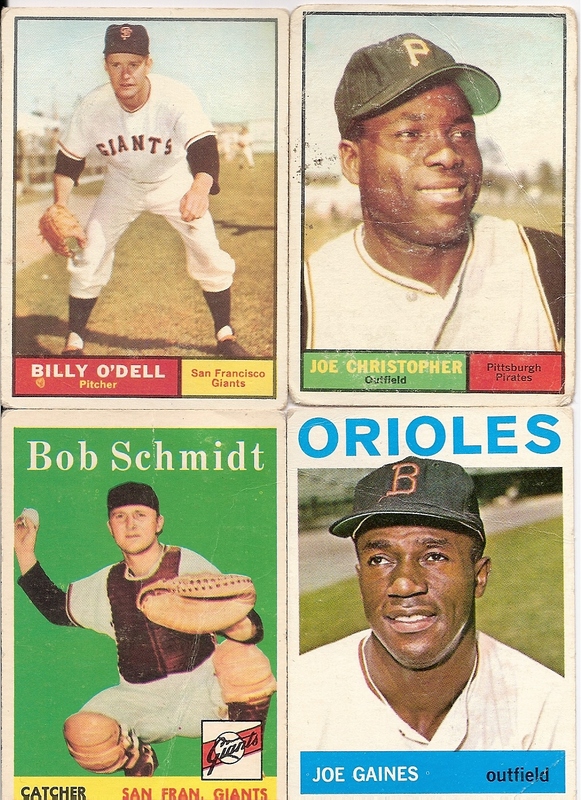 With the First Day Issue cards mixed in, I'm trying to put together a master set of all 185 cards, plus the RC variations (another 50 cards). I haven't even begun the 35 autographed cards, which includes Evan Longoria. P.S. I just mailed your package yesterday, Chris. I finally found a new store to buy bubble envelopes from. The store I used to buy them from stopped carrying #000s, and, well, I'm not paying $1.30 each for envelopes from Walgreens. In fact, I shipped four trade/prize packages yesterday, with two more ready to mail today! Does the package excitement ever stop? 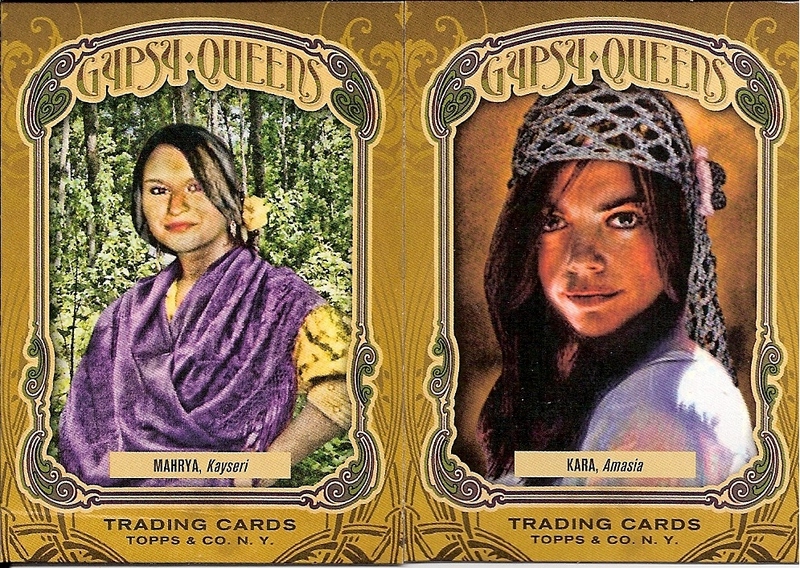 One of them is the Tarot back, while Kara is the regular descriptive back. Some of these gypsies are cute. I bet they could easily seduce and trick me into doing something stupid. Not giving them my money, though - I'm a tightwad. Sam also included a nice jersey card here of Brian Roberts from 2009 UD A Piece of History. This will head off to the Cardboard Zoo for safekeeping and an eventual feature! Thank you to everyone - Mike, Sam, Chris - for some wonderful cards! I'm Lost Warming the Bench with Women who Whisper to Ghosts Through a Stargate. Rarely do I show off non-sport on this blog. There's no reason for that choice other than I rarely get new non-sport cards to add to my collection. I recently spent a couple evenings sorting through my non-sport collection list, cleaning up the listing titles and verifying it was up-to-date. I still have a bit more work on it, but I know now that I have over 550 non-sport sets to complete, or even start. I've been neglecting the collection, but I'll devote a few nights to it at some point and knock a bunch of the newer sets off the list. It's much easier buying non-sport sets than it is buying baseball sets. On the flip side, it's quite difficult completing non-sport sets, while baseball card singles are relatively easy to come by. These sets were all $5 each from one dealer at the show this weekend. Six sets down, hundreds to go. 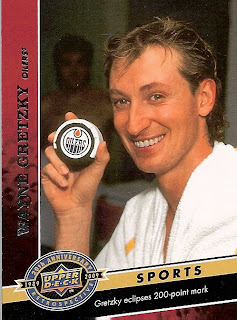 BenchWarmer cards are just so awesome. You know you like them. You want me to show all 72 cards in the set. Beg. There are sets on my list for shows that I've never or rarely seen. Stargate isn't a bad show, but I don't follow it. Why do I collect the sets? I don't think I'll ever know. I have most of the Star Trek sets, but this recent set eluded me until Saturday. Anyone remember Jennifer Love Hewitt in a movie called Can't Hardly Wait? Yeah, I really liked that movie. It had all the stereotypical high school characters, including Jennifer as the hot goddess of Ethan Embry's fantasies. I fell in love with the soundtrack too. Ahh, high school and college, when my life was defined by the movies I watched and the music I listened to. It was women like Hewitt, Alicia Silverstone, and Sarah Michelle Gellar who distracted me from baseball. I have Hewitt's autograph on a couple 4x6 snapshots that I'm really proud of - you won't find these pictures anywhere else. Yes, I watch Ghost Whisperer. Not religiously, but come on, with the wonders of makeup and high-strength bra straps, Jennifer Love Hewitt still looks beautiful. The last two sets are from the TV show Lost. 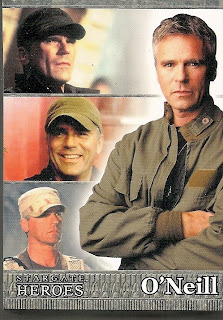 This is another show I never got into, but the completist in me wants it in the collection. 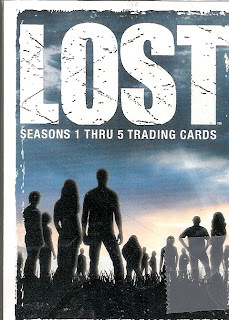 Hopefully we've seen the last of Lost trading card sets. Could that title be any more Fiona Apple-esque? At least now it should make sense, even if my non-sport collection doesn't. I bet know I have several of the cards I've picked up this month for my new player collections. Other than really-low numbered inserts, memorabilias, and autograph cards, I have nearly every Nolan Ryan and Tony Gwynn card issued through about 2003. I have several of the other cards, too. But dangit, all those cards are in storage on the other side of the country. I need to remedy that situation. But I digress. And yes, I realize I start too many of my sentences with "but" and "and." 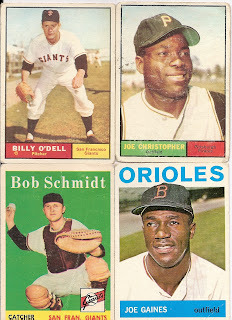 All these cards are fabulous cheap grabs from the Serramonte show this weekend. Most of them were picked up for a quarter or less! 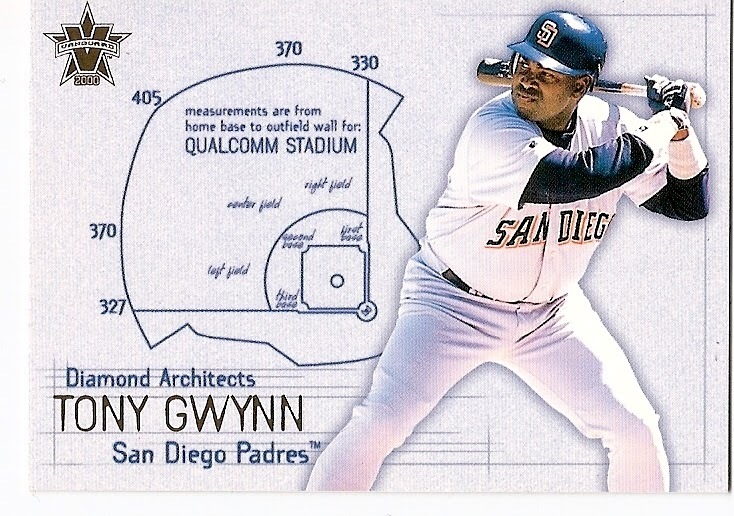 The sole Tony Gwynn I found this weekend is this nice insert from 2000 Pacific Vanguard. I picked it up first in hopes that it would fit in the Cardboard Zoo (I think I'm a little too proud of that name, but heck, I finally named that monster, so I'm going to use it), but since I already have a sample there, I knew it would be a pleasant addition to the Gwynn player collection. I may put this insert set together someday. I like the field dimensions. The Big Hurt, back when he made others feel the pain. The Leaf card is a 5th Anniversary reprint. Way to play the heritage card on your fifth set. I should have scanned that Upper Deck Pujols separately. 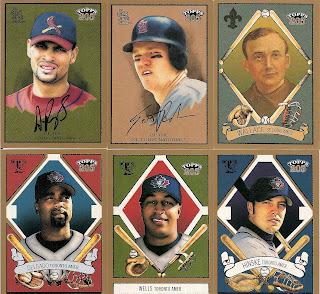 The '07 UD set wasn't as good as the years around it (worst of the decade, really), but that is an awesome photo. Big Gay Al (couldn't help myself) with a look of cautious anticipation of a homerun, as the umpire and catcher watch a mammoth shot head for right center field. (What looks like) Verlander appears to have just opened his only Christmas present to find a bunny costume. Beautiful. I want that in poster form on my wall. I owned an extra of the 2011 Topps card but I traded it to a set builder before I started this collection, but for a quarter I was glad to bring another copy home. 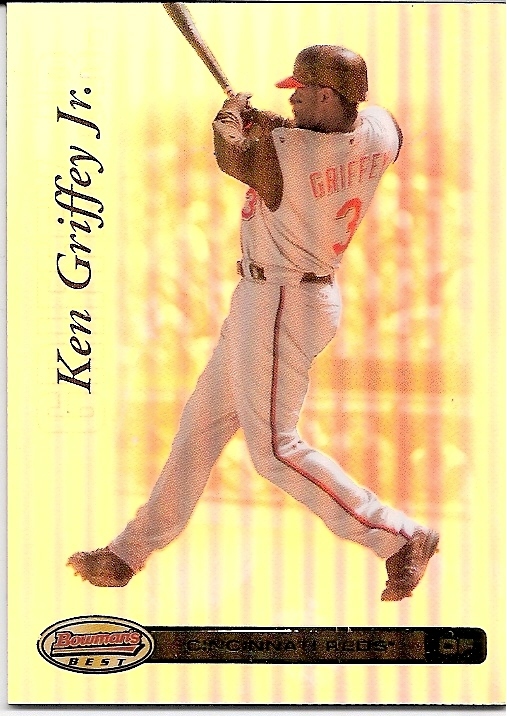 There weren't many Griffey cards in the quarter boxes. I found a few of these shiny Bowman's Best from 2007, and grabbed a Griffey for his collection. 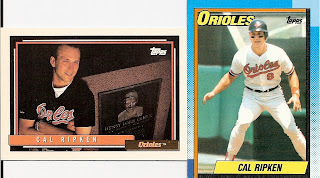 I saw plenty of those 1990 Topps cards #2-5, one for every team, but no #1. 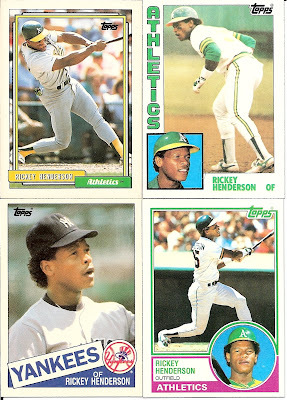 I also saw plenty of ugly Donruss, Fleer, and Score. 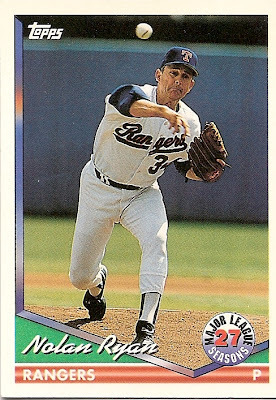 I saw several cards from the 1991(ish) Pacific Nolan Ryan set that ended up around 300 cards. This 1994 card was the only one I was inspired to buy. Ichiro runs! Ichiro hits! Hey, that's a Rookie Cup card, and a shiny card! It's easy to find cards like this of Ichiro. Inserts, on the other hand, are few and far between. This isn't the only hit I bought this weekend, but it's the only one you'll see on this blog this week from the weekend. The others go to the Zoo, and will show up eventually. 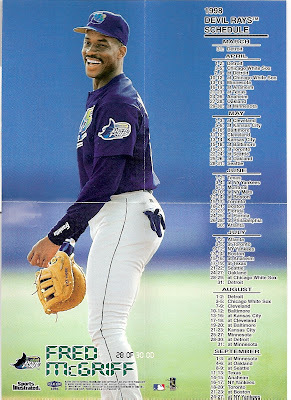 Mr. 40-40, at his finest, and with the Rays. 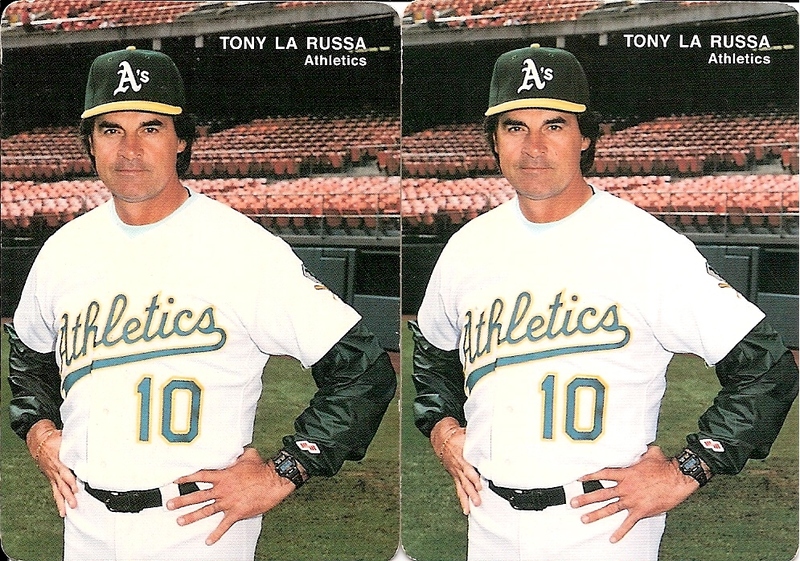 The A's card is from Mother's Cookies, and while it isn't easy to tell, Mothers Cookies cards in the 1980s and early '90s had rounded corners and all looked about the same. Without looking at the back, there's no way to really know what set this card is from. 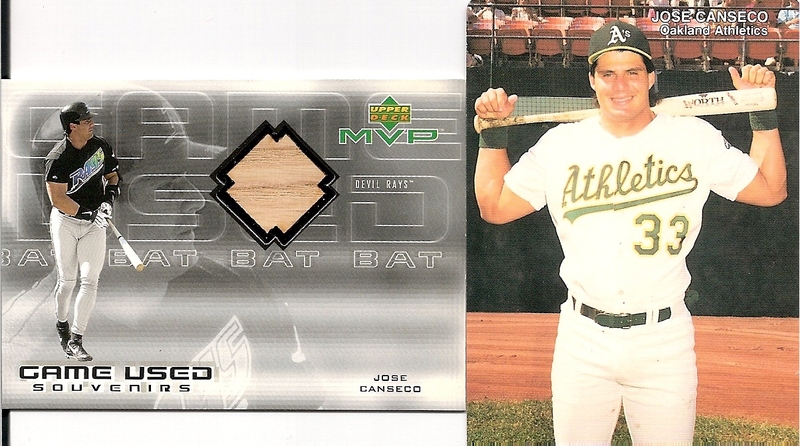 It's the Jose Canseco set. Yep, four cards, all devoted to half of the Bash Brothers. Speaking of the A's, 1980's style Rickey Henderson wasn't too hard to find. There weren't any rookies in the quarter box. Oh well. Christy Mathewson put up amazing numbers. He holds 4th place in career wins, 3rd place in career shutouts, 8th place in career ERA, tied for 7th in shutouts in a season, and threw two no-hitters. He has the second-most wins in a season among pitchers after 1900. Yes, that was back in the dead-ball era, when pitchers were in 40 or more games per year. His 37-win season saw him appear in 56 games. Speaking of the good-old days, here's a couple HOFers from the start of professional baseball. 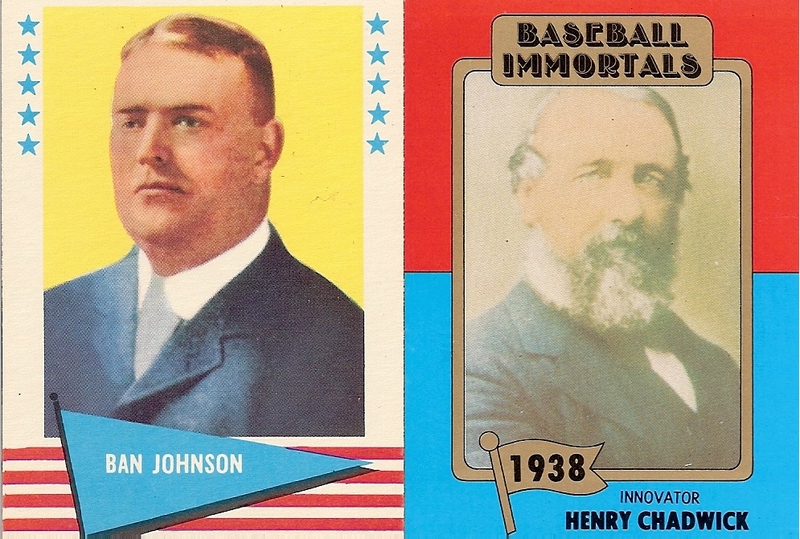 Chadwick was the "father of baseball" and is pictured on some 1980s overproduced oddball card. Johnson was the founder and first president of the American League. He's pictured on an original, vintage 1961 Fleer card. You're not seeing double. 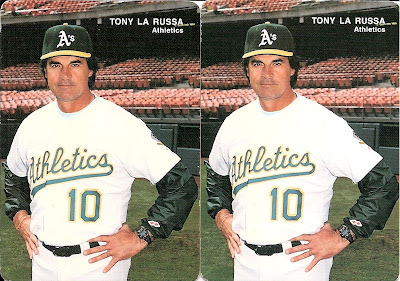 Here's a couple more Mothers Cookies cards, this time of Tony La Russa for a couple of his Manager of the Year awards. The Gloves have come off! Gold Gloves, that is. 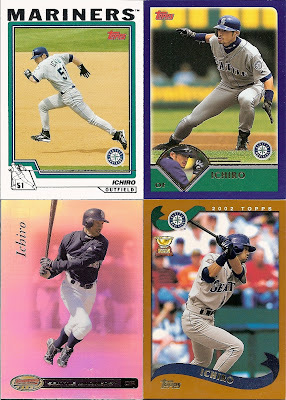 All four of these guys won Gold Gloves and these cards will commemorate that in my collection. 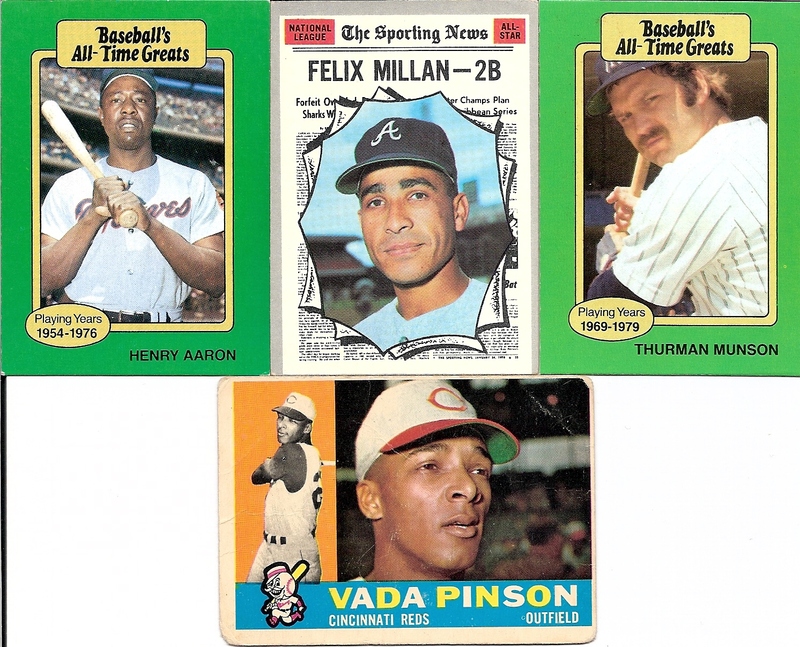 The Millan and Pinson are both vintage grabs, which I'm very happy for! For many of the players left in the awards/leaders collection, vintage may be the only way to go. Last, in honor of the 1964 World Series, this vintage 1965 Topps card entitled "The Cards Celebrate." 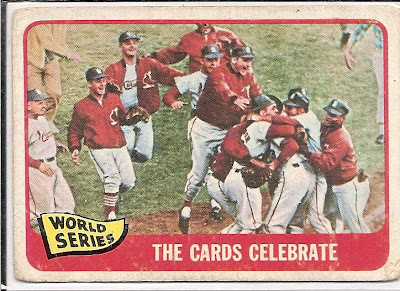 Maybe the Cards will win the World Series in a couple years and the card can be reproduced as is, just with modern Cardinals. Has that happened since the Heritage brand started? Help me identify this card! A new blog, and a new question. Not bad for $30 Part 4: Trade Bait Finale! Not bad for $30 Part 2: Game, Set, Match. Will cards from 1993 ever be valuable? Let me read your fortune. Do you like my contest? Here's another. Congratulations! You may already be a winner! Bowman, Better Late Than Never?